Did you know that storing leather garments in plastic over a long period of time can actually shorten the life expectancy? All quality leather garments need to breathe and adapt to the environment. 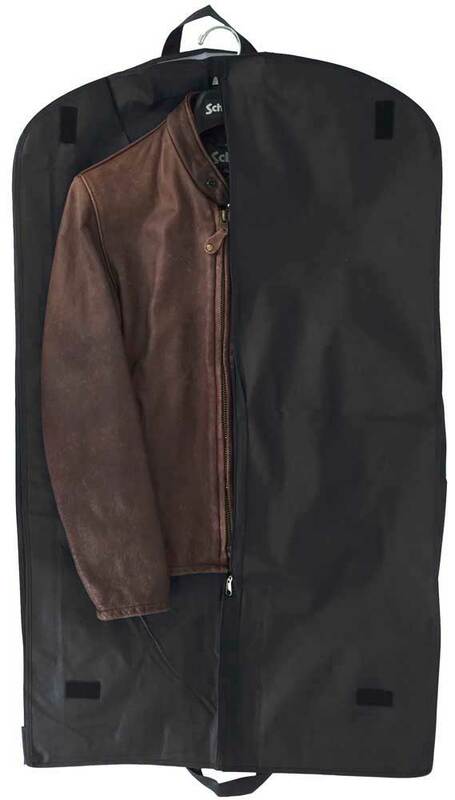 Keep your quality leather garments stored safely with our specially designed Breatheable Garment Cover. Gusseted sides expand up to 4" to keep out dust, moths, etc. while allowing your leather garment to properly breathe. Can hold multiple garments or extra thick garments, such as sheepskins, etc. Features two handles and Velcro tabs on either end which can convert the garment cover into a traveling cover. Dimensions: 24" W x 40" L.
Good storage for my leather jackets and wool/leather letterman jackets. Retired my father''s 1950s USN fight jacket and the care info found here has been very helpful. delivery was fast, and merchandise was as expected.